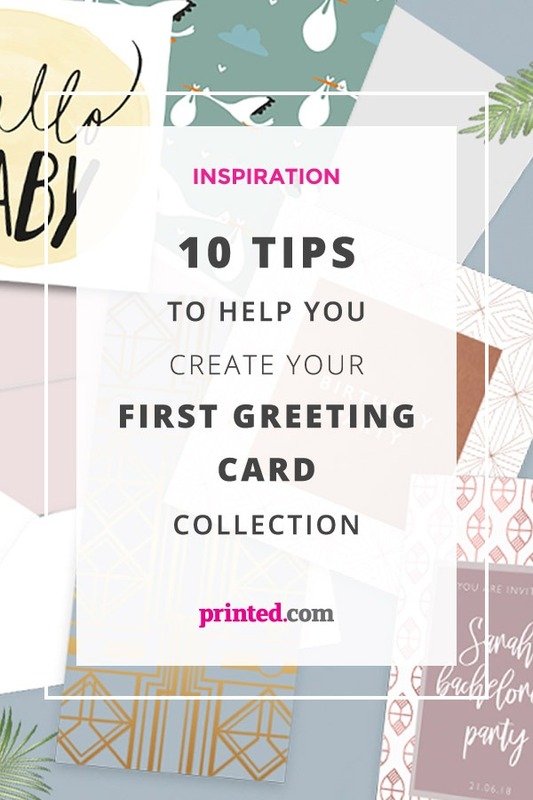 Want to create a Greeting Card collection? Greeting Cards are a key product for many creatives – we see hundreds pass through our presses every single day! From the sentimental, to the laugh out loud funny to the downright beautiful, there are so many options to explore – so creating your own range can sometimes feel a little overwhelming. If you’ve never created a range before, we’ve got a few tips and tricks to get you started. What do you love to create? Is it illustration? Typography? Fun doodles? What already designed pieces do you love? Can they inspire your collection? Who are your favourite artists or designers? Have you seen any Cards you love? What patterns or colours are your favourites? Pinterest is a great visual tool for this, but equally you could scrapbook or create documents and on your computer. The main thing here is to use the answers to the above question and create a visual place for all of your inspiration. That way, when you come to create a Greeting Card collection, you have a reference point. 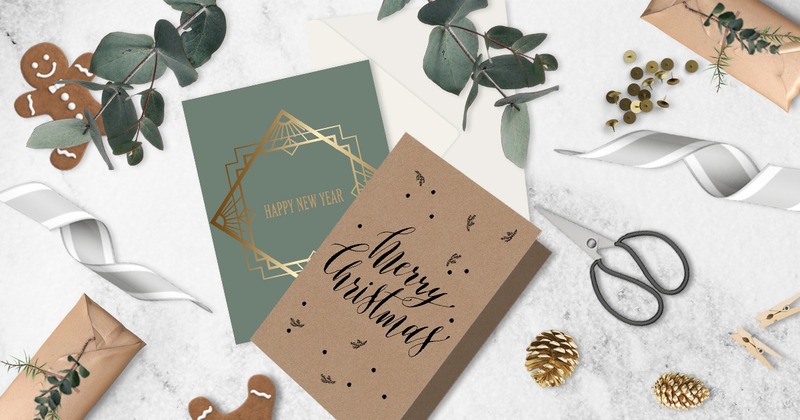 Now is a great time to create a Christmas collection, for example – but you could create cards for birthdays, simple sentiments or a broad range. Take a look at what everyone else is up to in your field and try to carve yourself a niche. Some of our customers create unique cards for occasions like IVF milestones and religious holidays. Crafting something that’s not easily found in a shop will help set you apart from the competition. Decide on your paper stocks, envelopes – do you need cello bags? Printed.com is a great place to start. You can learn about our paper types here, or get inspired with some of our very own customer creation in our #ProudlyPrinted series. You could use our versions service to print your card designs onto the same paper type and configuration, but they key here is to make sure you have enough designs to get you started. Your first collection should feature around 8-10 designs as a rule of thumb. As you expand into more collections later down the line, you’ll want to have around this amount in each collection, and multiple collections to build your range. If you don’t have a shop front, now’s the time to get one. Etsy is simple to set up, easy to use and almost instant in terms of selling, so if you don’t currently have a store, we recommend getting one set up so you can get selling. You’ll want to make sure your shop has enough products too, remembering what we said earlier about keeping your collections to around 8-10 card designs in each. It may not always be possible, but consider a running theme with your designs so that you’re easily recognisable. Whether it’s a visual style, a colour palette or a theme, create something ownable, that makes you a little different from everyone else. Your style can also transcend into other products as you progress (like pin badges and tote bags, if you wish). Having a unique style also opens up new markets for opportunities like collaborations. You can read more about getting started with creative collaborations here. Social media is key to getting those all-important sales. If you’re just starting out, building your following is one of the most important things you should be doing to help get your name out there. Your social tribe will help you spread the word and build credibility. You can read more about growing your tribe here. Everyone knows that notoriety doesn’t often come free, or even cheap. That’s why you’ll have to consider paying your way to boost your business. Whether it’s through social media, sponsorship deals or partnerships or through sites like PressLoft, (read more and get a welcome offer here) there are plenty of ways to help raise your profile. The first thing you’ll want to do after creating your collections and building your shopfront is advertise using platforms like Instagram or Facebook. Our complete guide to Facebook advertising can be found in a free, handy PDF download right here, and we recommend you download it and start implementing online advertising right away. 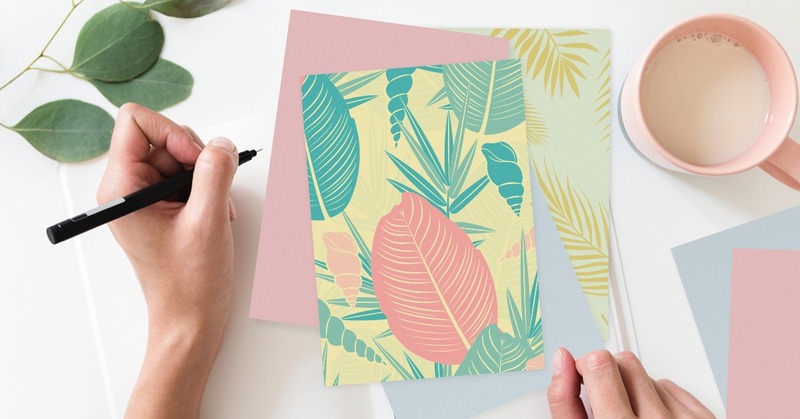 One thing that’s really important to all creative businesses especially when looking to create a Greeting Card Collection, is ensuring you’re ahead, or at least in line with current trends. Even if you don’t follow suit, make sure you’re always aware of what’s coming and what people are buying right now, to ensure you’re relevant and providing a product that’s in demand (or even an antidote to the masses, if you’re so inclined). 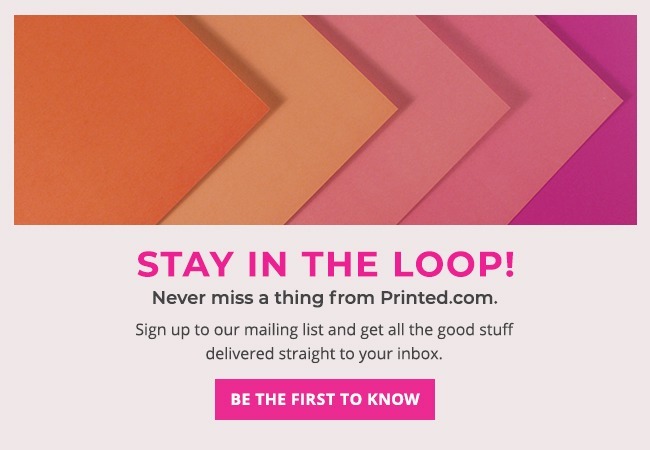 We regularly post trend updates right here on the Printed.com blog, so bookmark this page and keep coming back! Check out our roundup of the Pantone colour trends for A/W2018 right here. Being a creative in today’s industry can be difficult, but a wonderful thing about taking the plunge and creating your own range is the freedom it offers you. Check out our spotlight interviews Trotting Dog, Hello Treacle, or CW Illustrations and read a little about the creative landscape and how these creative powerhouses are navigating it. Ready to create a Greeting Card Collection? 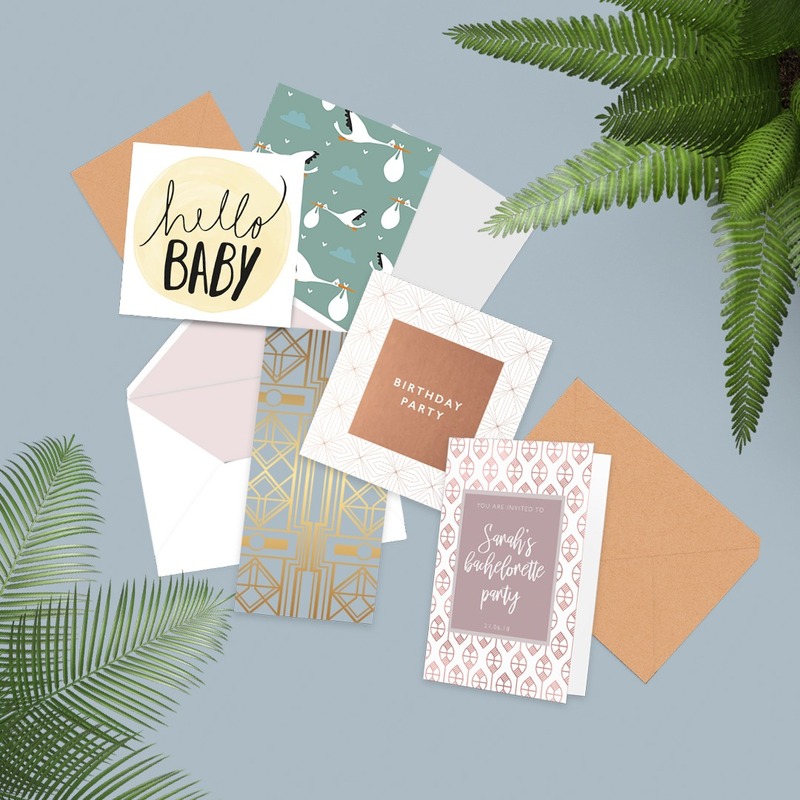 Shop our range of Cards now, and don’t forget to tag us in your printed creations too, using #ProudlyPrinted – we love seeing what you guys create! Plus, you could even get featured on our blog, giving you even more exposure.